The Crann was a reconnaissance, command and control Inorganic used by the Regent’s faction of the Invid race. It was one of the original “big four”, or series one, that were designed and manufactured exclusively by the Invid. They were used in small numbers to provide control of larger elements of Inorganics. 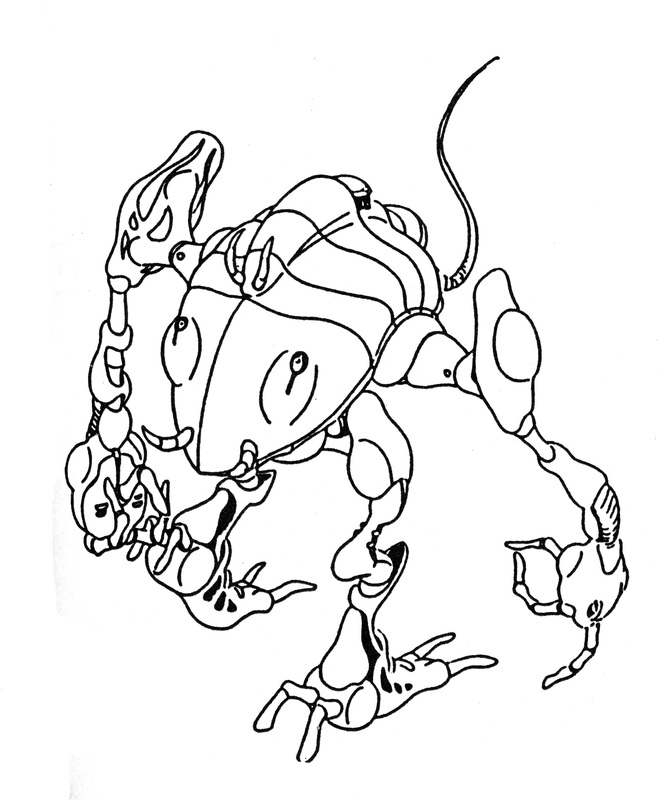 As such, they were the only Inorganics of the original series that could operate fully autonomously of a command and control network (Invid Brain). This made them immune to the long range jamming used to interrupt the connectivity of drones with the main hive. 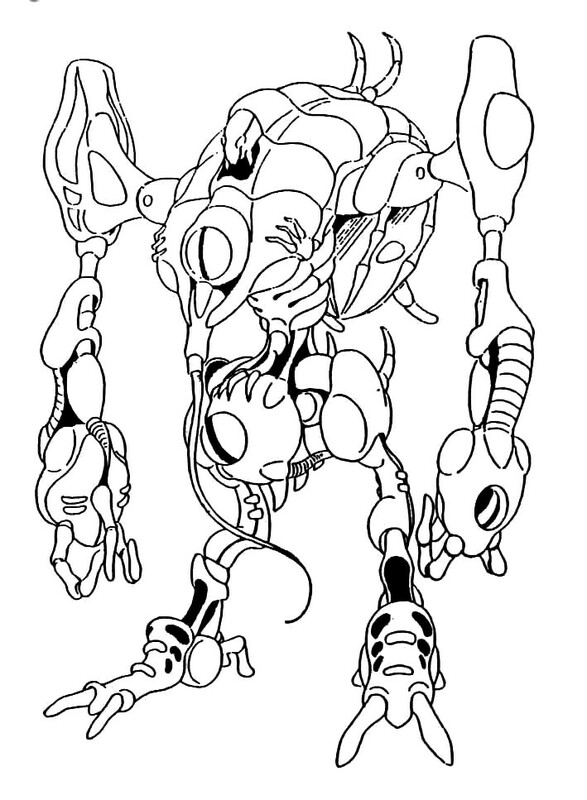 The Crann had multiple sensors spread over its torso. Two of which were the large “sensor eyes” so common to Invid mecha. The mecha was somewhat smaller than other Inorganics such as the Odeon. Though smaller than the Odeon, it could still carry the same hand held laser weapons pod as that type, though this was a rare occurrence in practice. 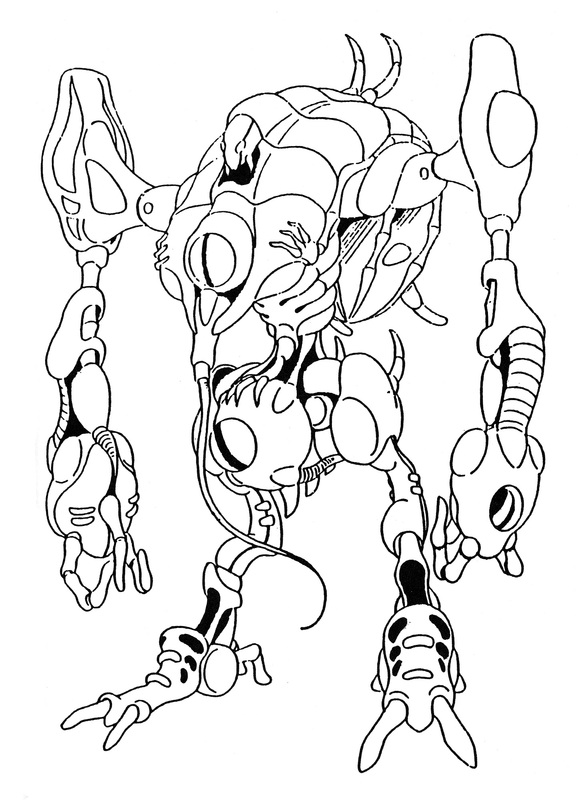 Typically, Cranns would hang back and act as a control unit and data relay, rather than engage in direct combat.